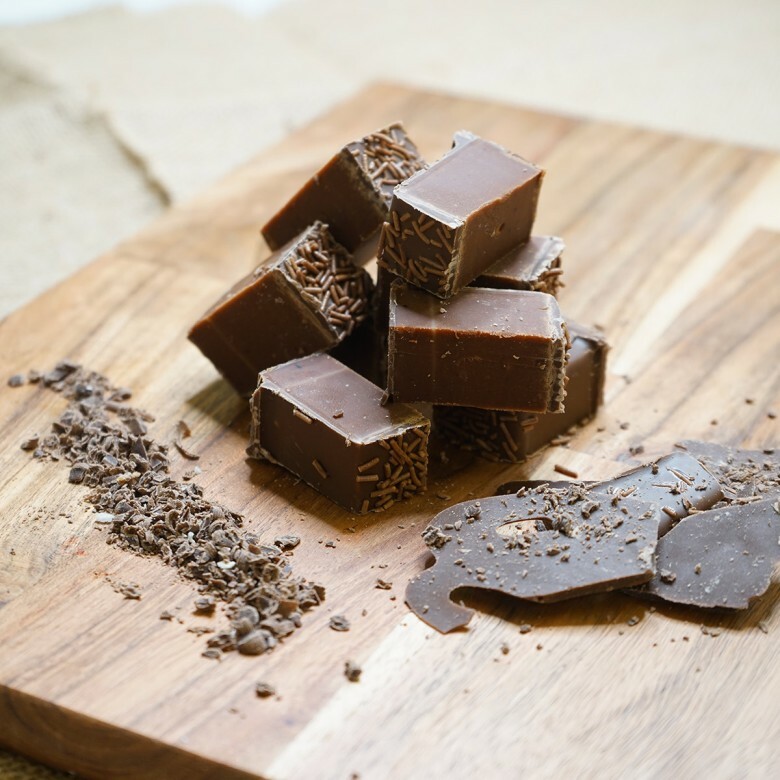 Death by Chocolate Fudge – Pure indulgence Chocolate fudge is made using real Belgian milk chocolate. 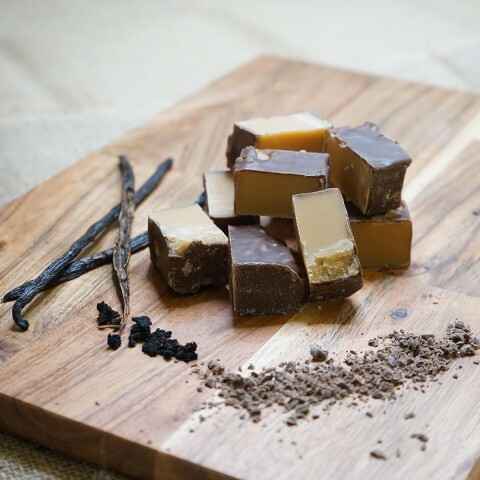 Once the chocolate has been melted down, to a warm runny liquid using a traditional melting pot, a happy helping is poured into our fudge and mixed by hand giving it a rich velvety deep chocolaty taste. Hand dipped in Belgian chocolate for extra indulgence, as if that’s not enough we add a happy helping of chocolate vermicelli. Death By Chocolate Fudge is available in two sizes; a 150 gram bag or a 450 gram box.